British department store chain Marks & Spencer has 9 locations in Singapore, including a duplex store at Marina Square (6 Raffles Boulevard). Established in 1884 in Leeds, UK, by Michael Marks and Thomas Spencer, Marks & Spencer (also known as M&S) is today known and loved by millions of people across the world shopping at their 1,000+ stores. Marks and Spencer stores offer high quality fashion, award-winning luxury food products, and stylish homeware (the available categories vary by store). Within these ranges, M&S uses a wide number of their own in-house brands, sold at great value-for-money. Among the reasons why Marks & Spencer is so popular globally is their understanding of the importance of quality, value, service, innovation, and trust, and living by these values in everything they do. Through constant innovation, M&S makes their own products and tailors the shopping experience to delight customers around the world, including Singapore. Marks & Spencer has been in Singapore since 1958, with some of the more popular product categories here being fashion-forward menswear and womenswear, food, confectionery, fine wines and beauty products. 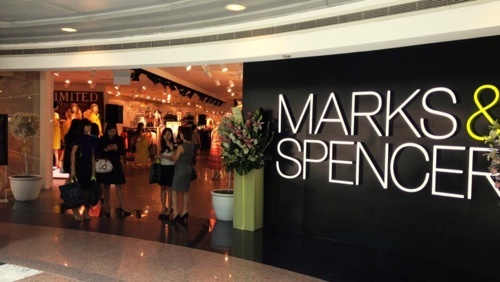 Marks & Spencer Singapore has an official Facebook page, located at www.facebook.com/MarksandSpencerSingapore. Following the Facebook page keeps you, among other things, up to date on the latest promotions and new products at M&S in Singapore.